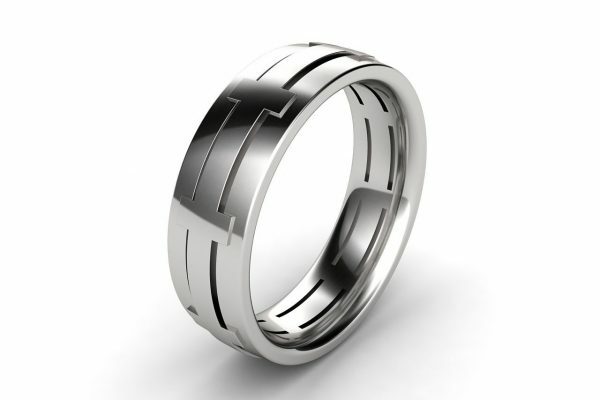 The detail in this Mens Contemporary Wedding Band adds an artistic flair to the traditional ring. 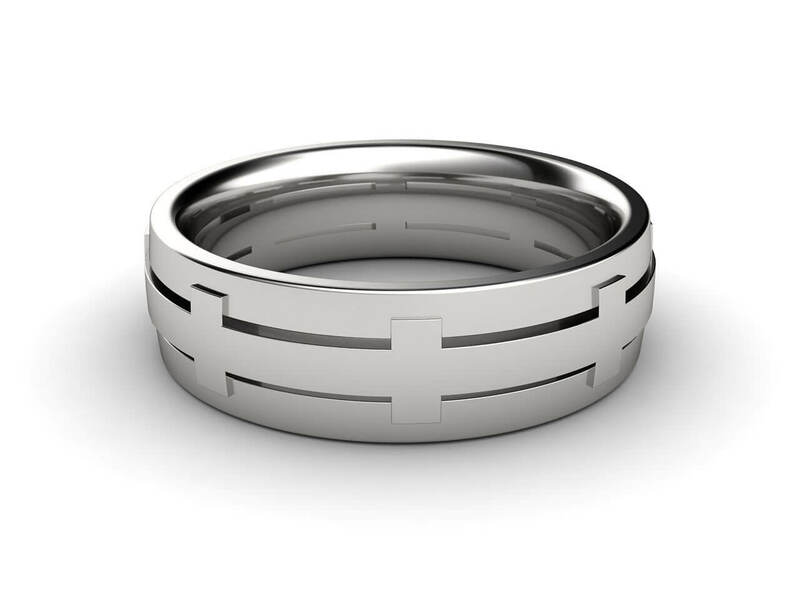 The cross, raised pattern is modern and unique. 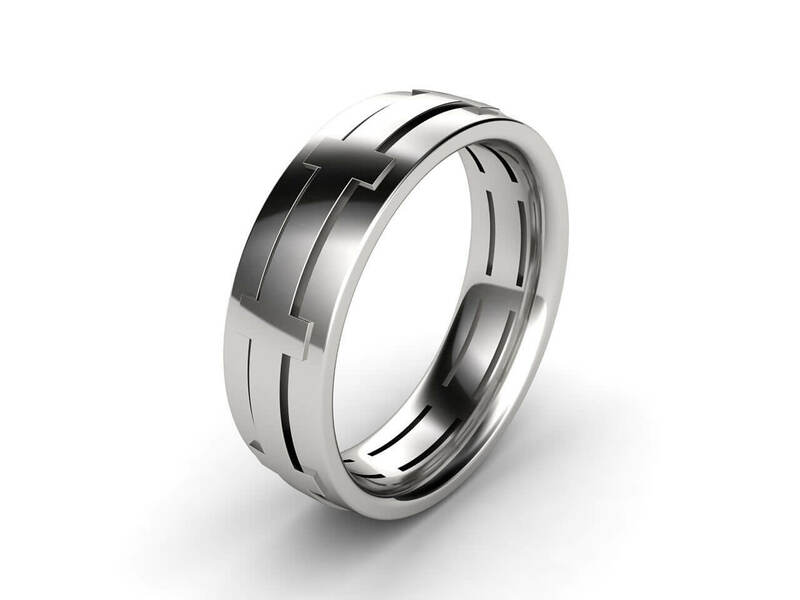 Substantial thickness with the highest detail means this durable wedding ring will look beautiful forever.